I’ve been wanting to try this pattern for a while and now that I’ve gotten into it I don’t know what intimidated me so much about it! I followed The Crochet Crowd‘s fantastic pattern and it’s coming together quick. Little Lottie thinks I’m making her a snowflake so I’ll keep going in alternate blues in DC then add a white SC & scalloped edge. My ultimate goal is to make this amazing Mario star I saw on Pinterest as well as a bright rainbow one. 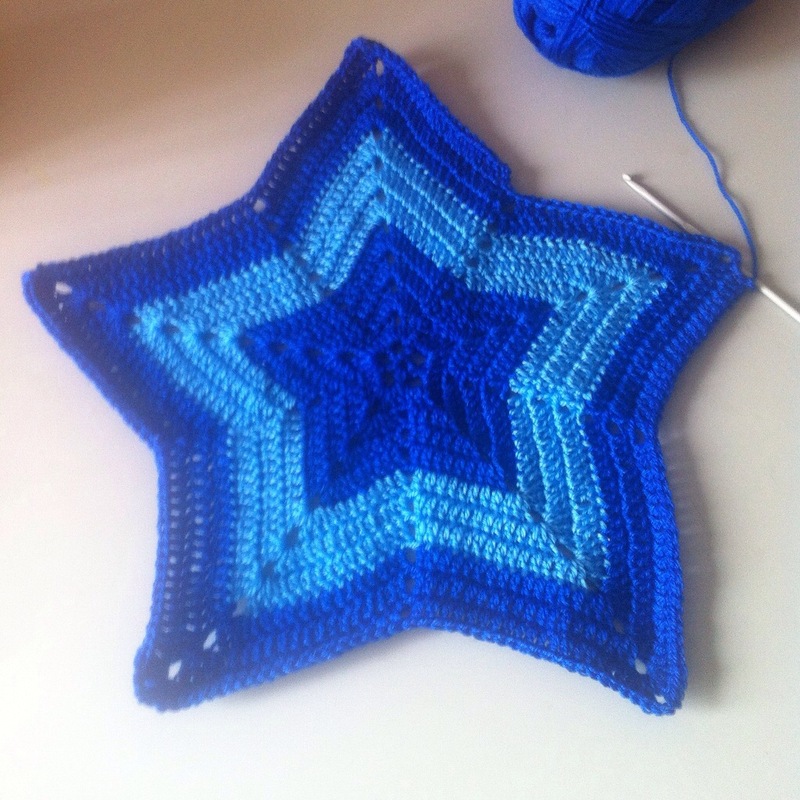 Has anyone else done a star afghan? Any issues I should look out for?